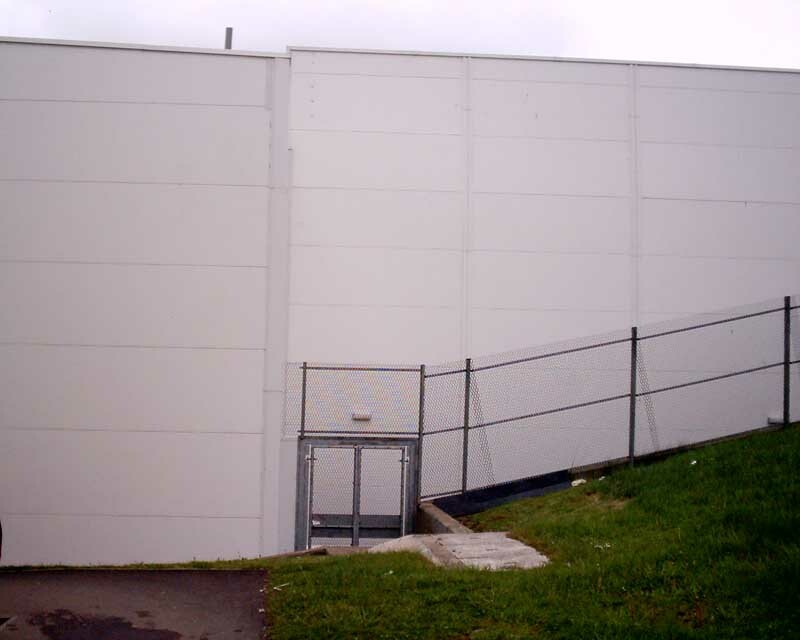 The spaces and forms are generally poor. Read the Copcutt building on an architectural level and it is illegible, blithering confusion. 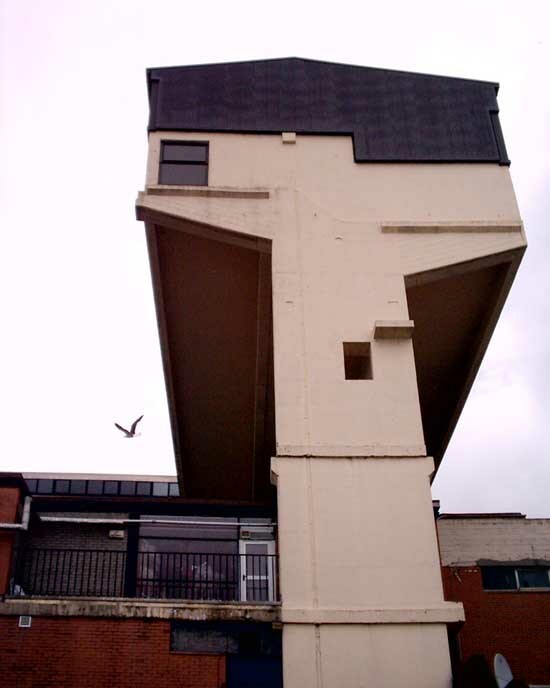 Take the infamous ‘cantilever on a stick’ for example: at its tip it looks bold and vaguely intriguing, but the great mass of building at its base consists of fiddly bits stuck on to a base form with no apparent logic, certainly with no aesthetic rigour. Read it on a human level – frankly this is the key – and the place is abysmal: dark oppressive spaces, blocked routes and mess. Surprisingly the interior is not that bad. 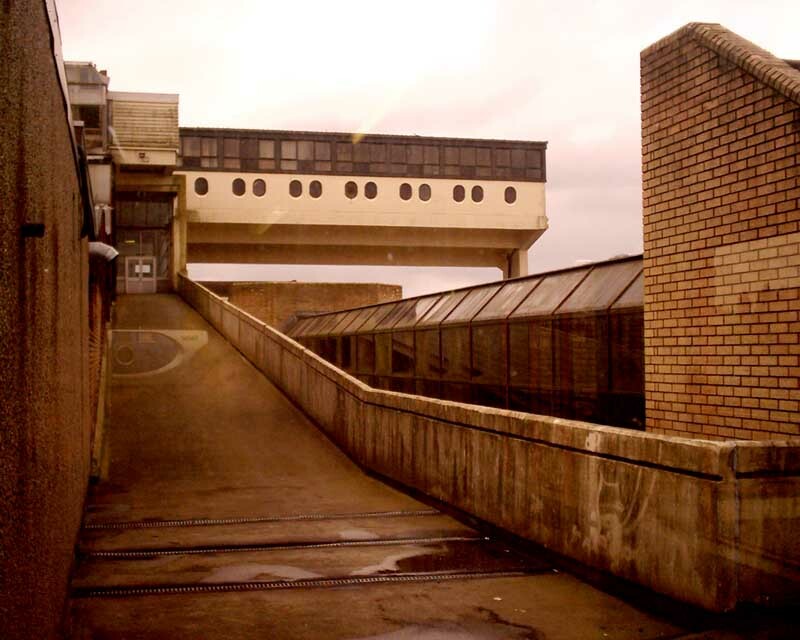 It reminds me of Preston Market or the Arndale Centre in Manchester, the smell of disinfectant on insipid factory tiles and clunky handrails; lots of unhappy looking people when we were there trudging up and down. Having escaped the building we tried to find the car. 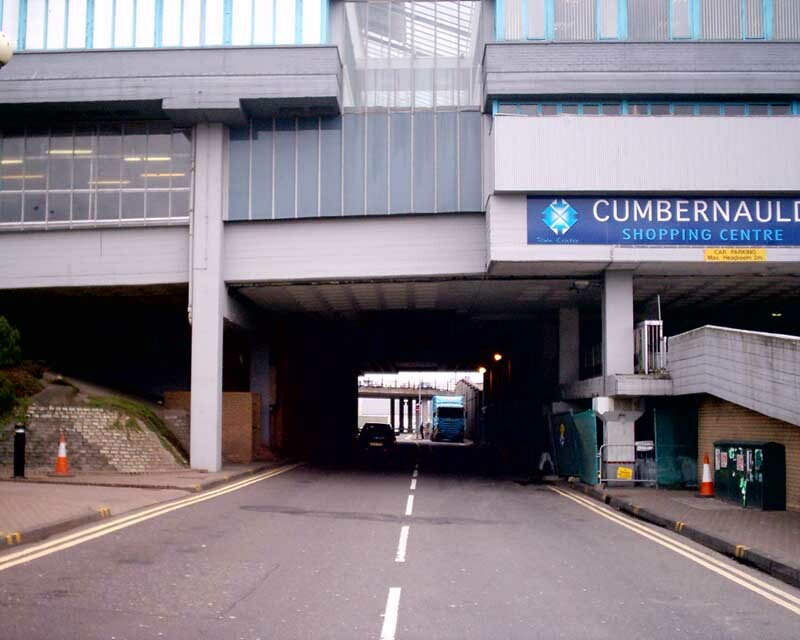 As true-to-the-vision visitors to Cumbernauld town centre we had arrived by motor car, sweeping under the Centre on the grand axis. Having been sidetracked by some interesting but forlorn sixties housing estates and plenty of churches we tried to return to our form of transport, only to find our way impeded by a massive rank of identikit boxes, you know, the same B&Q’s that planners bizarrely let through whilst the rest of us sweat and struggle to get intelligent contemporary architecture built. We ended up pushing between bushes and after an underpass decided to dodge the traffic on a roundabout the size of Trafalgar Square. A quick hop over some railings and we had escaped…or so we thought. 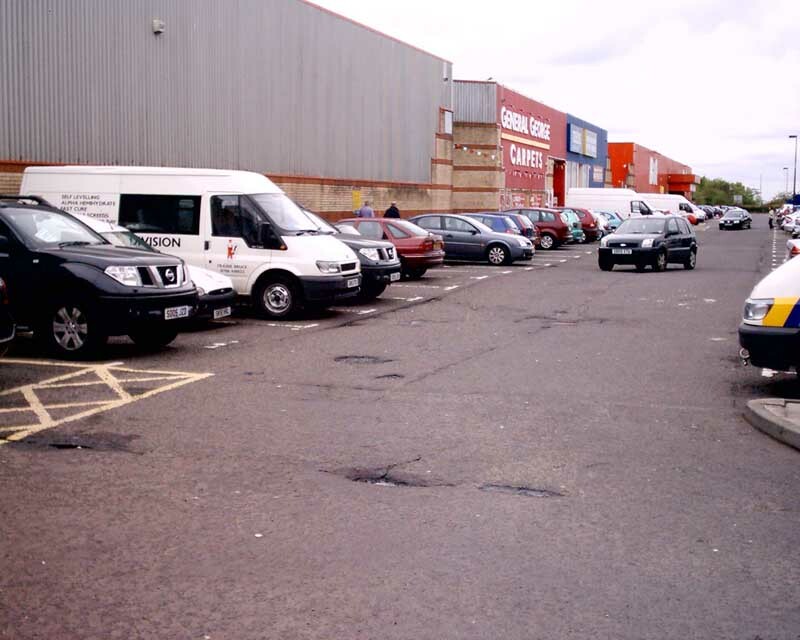 Finding a route out – other than to Glasgow or Edinburgh – seemed nightmarish, endless loops that fed you back into another circulatory artery, a cloak of claustrophobia settling in until we clawed our way out into the open countryside. More seriously you could argue that the Copcutt building was a bold attempt at urban planning. 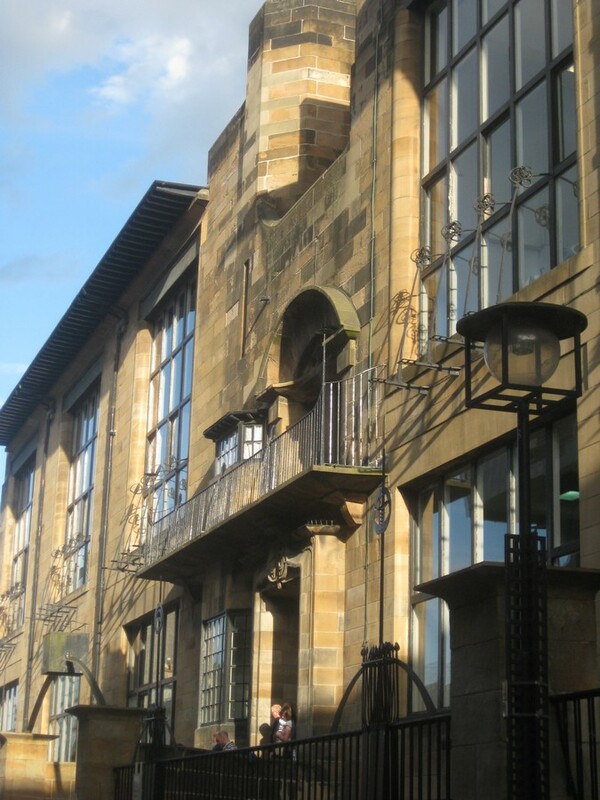 As a piece of architecture I would argue it is pretty disastrous and the overwhelming impression I get from Scots I speak to is that the place is to be avoided at all costs. 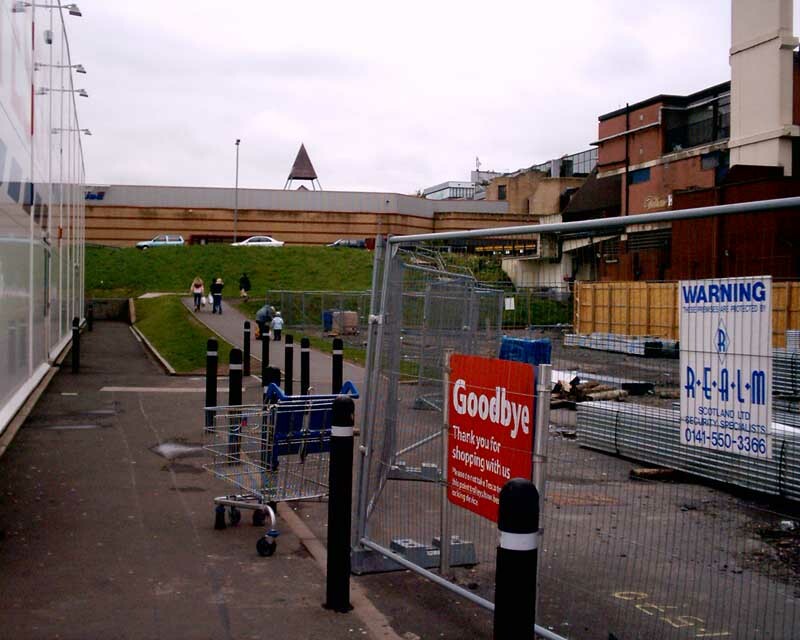 However, the new buildings – like Tesco Metro – don’t bode well. 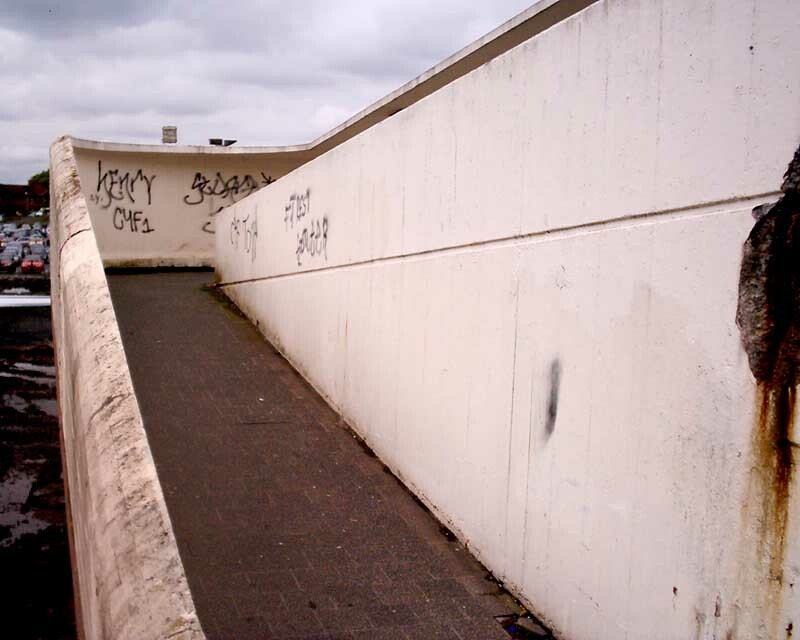 They have massive blank walls and absolutely refuse to engage meaningfully with the pedestrian, with the townscape. 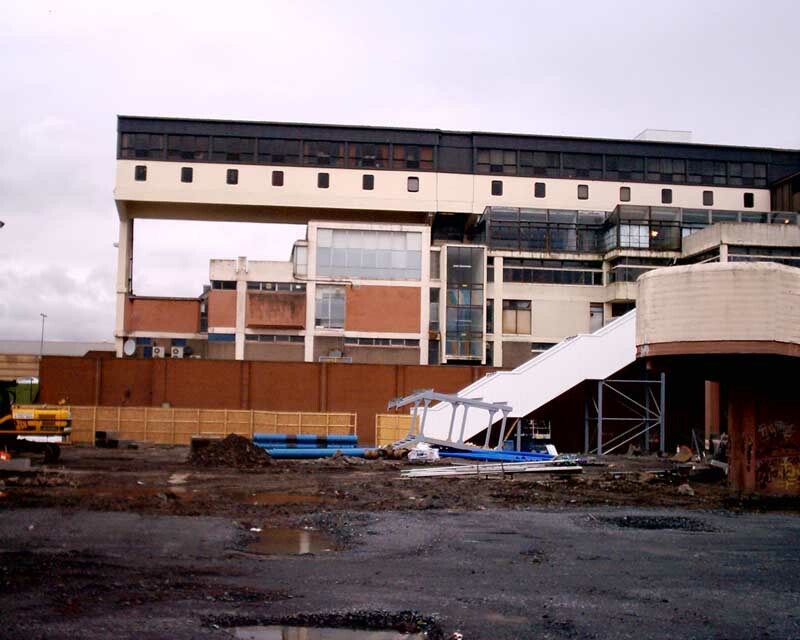 I would suggest Councils like Cumbernauld [North Lanarkshire Council] should get a grip of their towns and take masterplanning and architecture seriously. 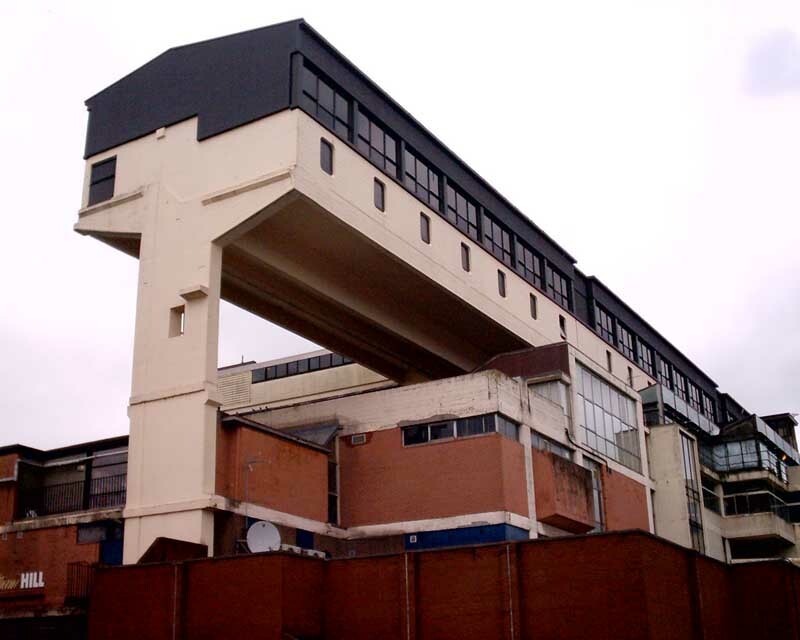 Just because architects made a mess of it in the Sixties doesn’t mean to say they will again, hopefully we’ve all learnt from these mistakes. Or have we? The editor of Prospect has gone on record – on TV and in print – that the vision was good and so on, however Penny Lewis is not campaigning for saving the Town Centre buildings. 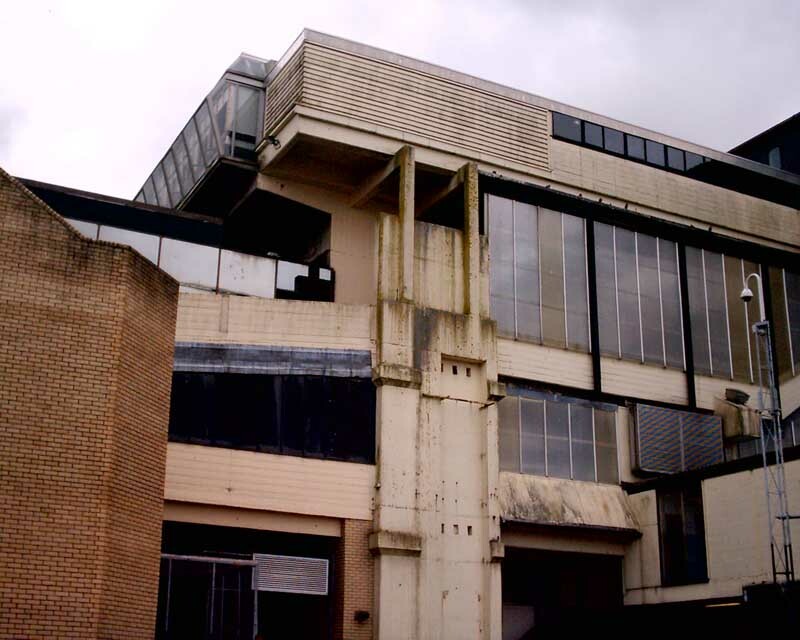 There are others – a minority – who will campaign to save Modernist buildings for intellectual reasons despite their failings. It may sound cool – like the attempted ‘rehabilitation’ by ardent Modernists of the monster that is the South Bank Centre in London on TV around 15 years ago – but supporting buildings that fail on so many levels to provide a positive experience to those that use them is very dangerous indeed. 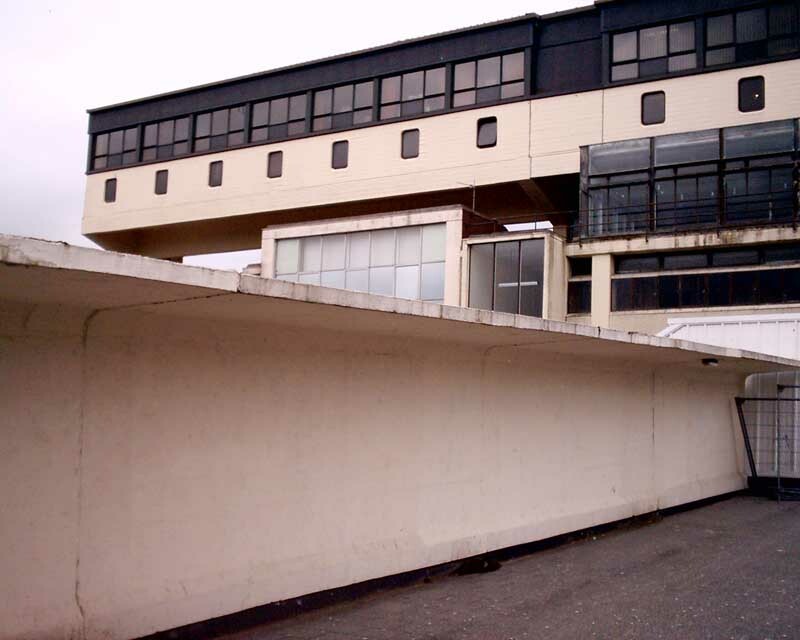 Do the North Lanarkshire councillors realise that the mindlessly dull boxes being consented are as bad if not worse than the sixties concrete buildings? 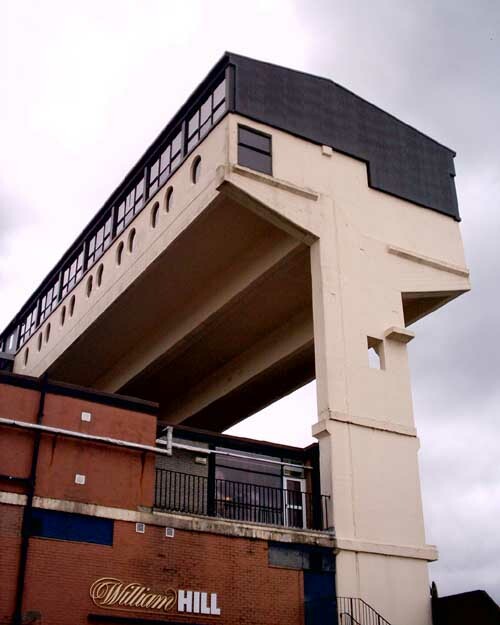 [They probably hold ‘architecture’ in disdain but those in charge of cities should be educated and aspire to the best buildings for their community – is this the case in Cumbernauld?] 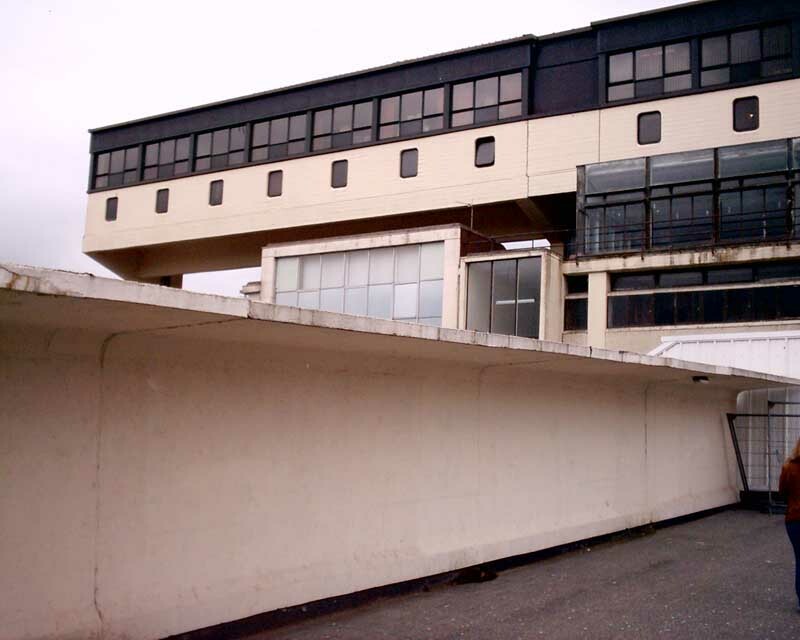 At least the sixties buildings had a vision and belief system [but little panache], the recent bland elevations seen in Cumbernauld wouldn’t know a vision if it kicked them in the teeth. 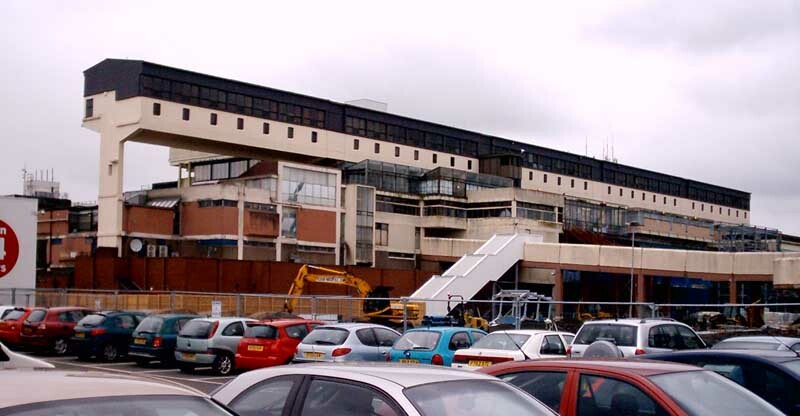 Work has commenced on the £30m Antonine Shopping Centre in Cumbernauld in a bid by North Lanarkshire Council to refurbish the town centre and end the stigmatisation. 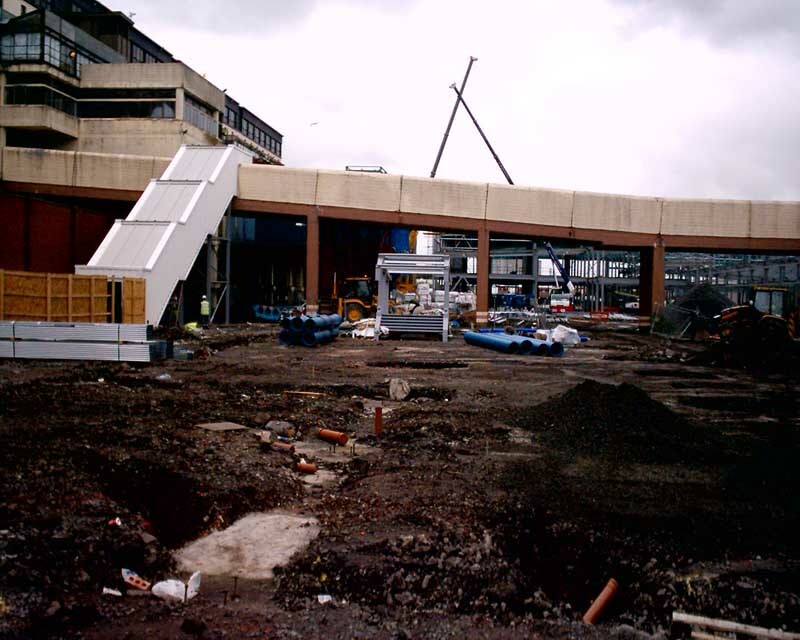 The Antonine Centre is to contain 350,000 sqft and is for London & Regional Properties. 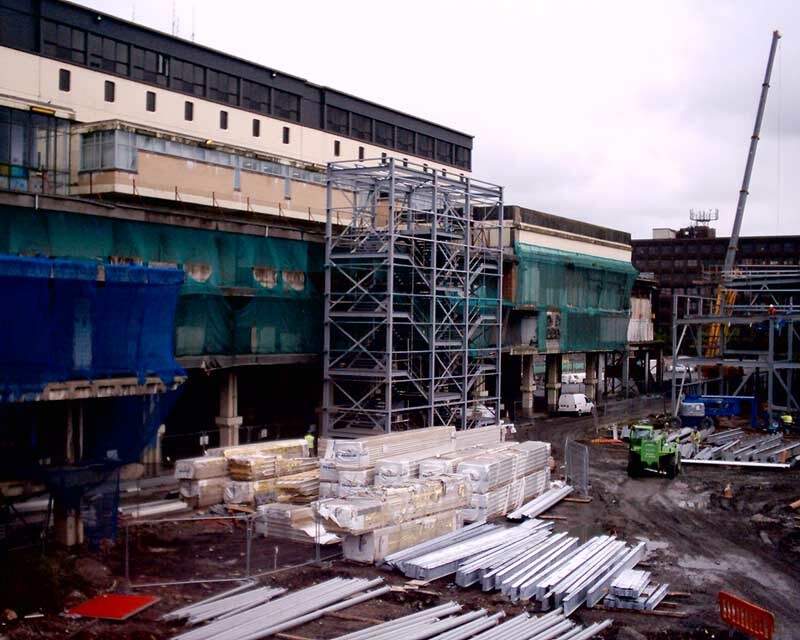 Shops set to be included are TK Maxx and Woolworths. 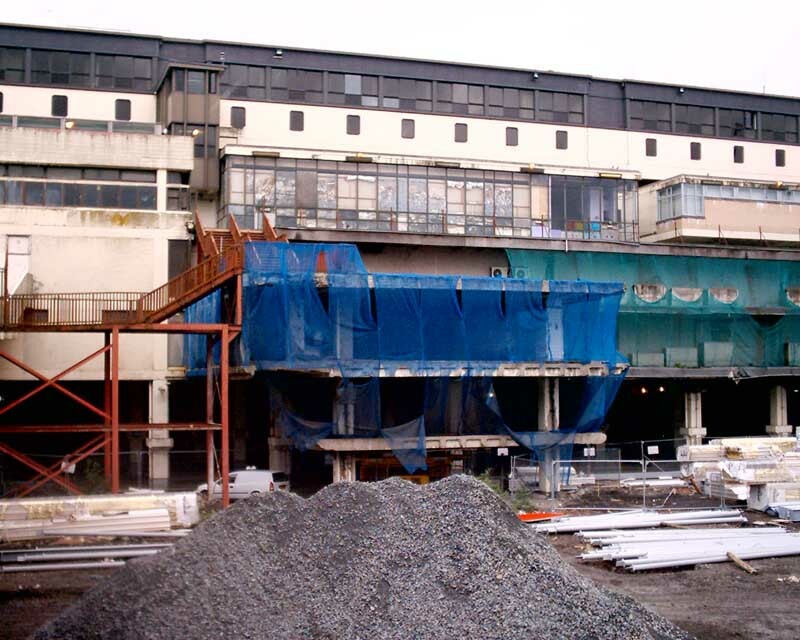 Redevelopment by Campsies Centre Cumbernauld – private company set up by North Lanarkshire Council. 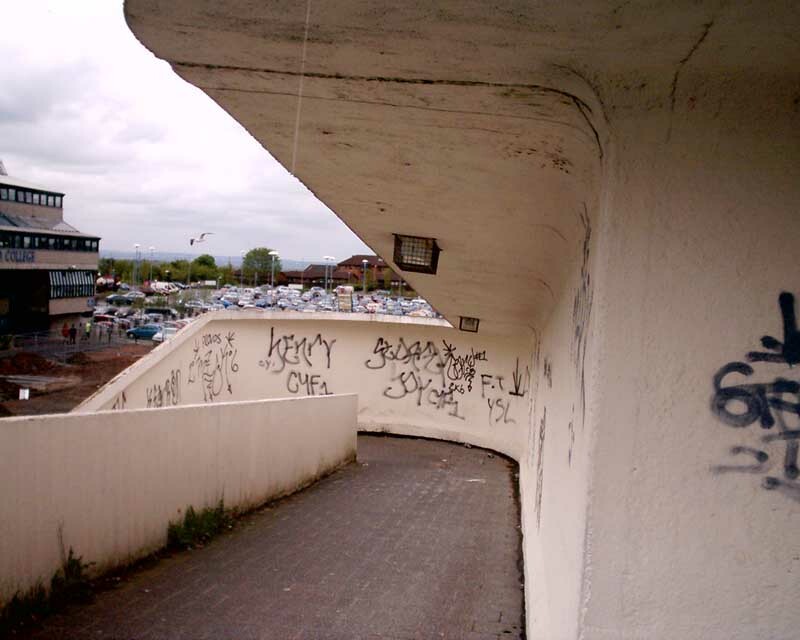 Cumbernauld Community Forum and Architecture + Design Scotland trying to get involved. 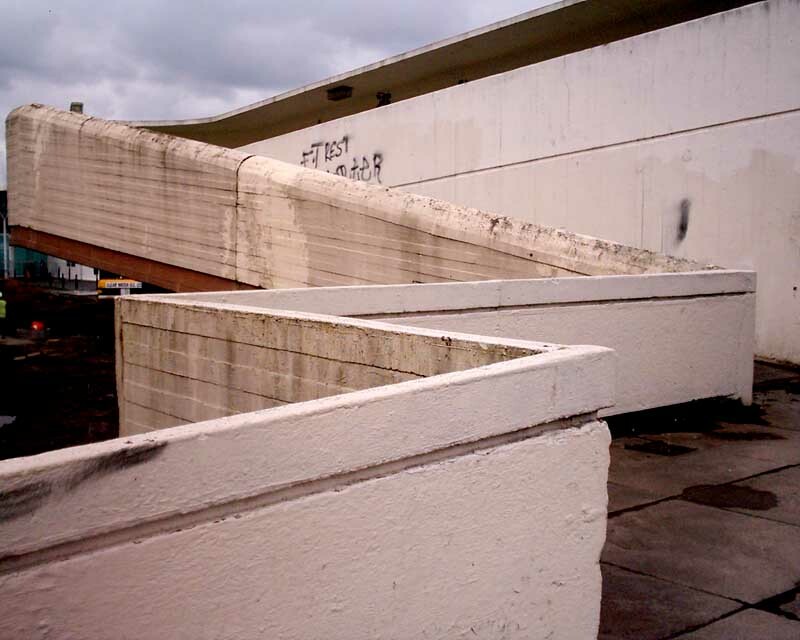 Previously Cumbernauld town centre has been awarded the Plook on the Plinth Award twice and featured in the Channel 4 TV programme ‘Demolition’. 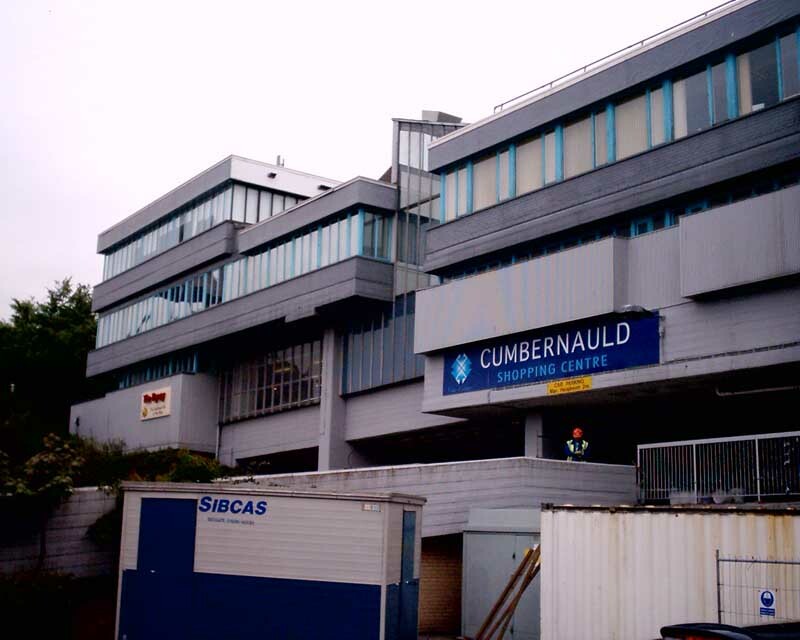 Cumbernauld was featured at the Scottish Design Show in 2005. 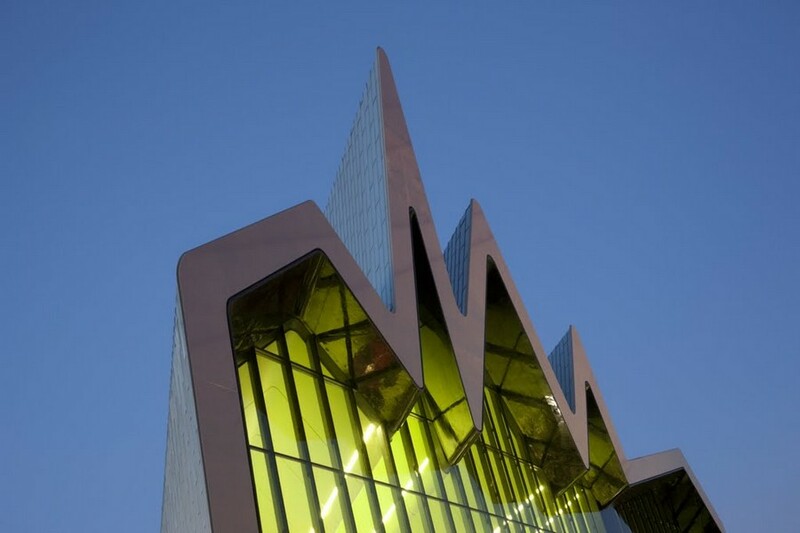 This saw the return of the controversial Carbuncle Awards which seeks to name and shame Scotland’s Most Disappointing Building and Most Dismal Town. Dull facade of supermarket on awful public route, how do these shed buildings like this get planning permission in the heart of a town centre?